This is a large general cemetery at Borella, an important road junction on the Kanatte Road, and is known locally as Borella Cemetery. 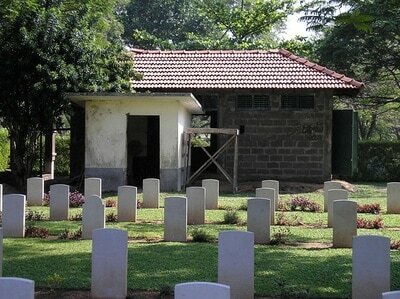 The cemetery contains a Commonwealth War Graves Plot and a number of additional war graves dispersed around the site. Graves shown in the cemetery register to be in Plots 6B and 6C are within the War Graves enclosure, while all others are dispersed. To locate any of the dispersed graves, it is advisable to make prior contact with the Cemetery Manager. To reach the Commonwealth War Graves Plot, follow the main avenue from the entrance for 150 metres and turn right at the sign for Plot 5. Continue past the Cross of Sacrifice on the left side, and the plot is found 100 metres further along on the right side, enclosed within a fence and hedge. This cemetery is open every day 07:00 – 16:00. There is no resident caretaker so the cemetery cannot be accessed outside of these hours. Please note the cemetery is known locally as ‘Borella'. 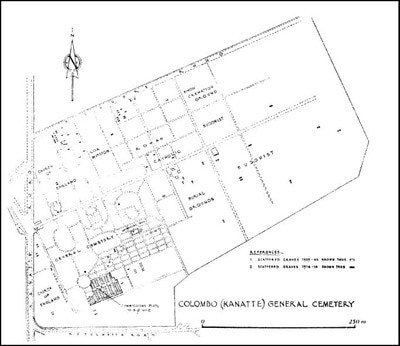 The cemetery, at Borella, belongs to the Municipality of Colombo. It contains War Graves (including those of a German soldier, a German merchant seaman, a German interned civilian and an Austrian nursing sister); and a War Cross is erected. 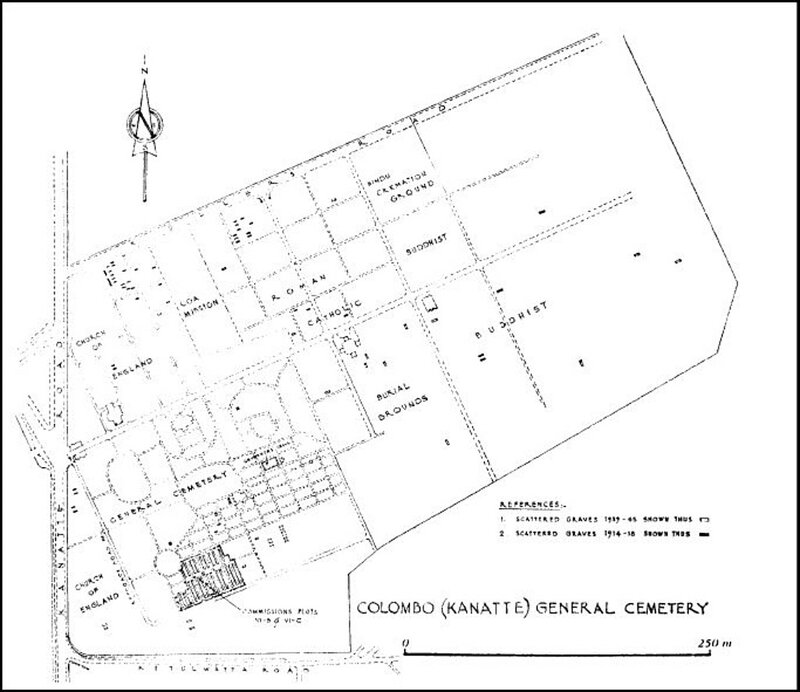 The Military Hospital at Colombo received cases of sickness from the troops on the land, or from passing transports. The island, though visited for a short time by the 1st/4th King's Shropshire Light Inf., was garrisoned by the local defence units. 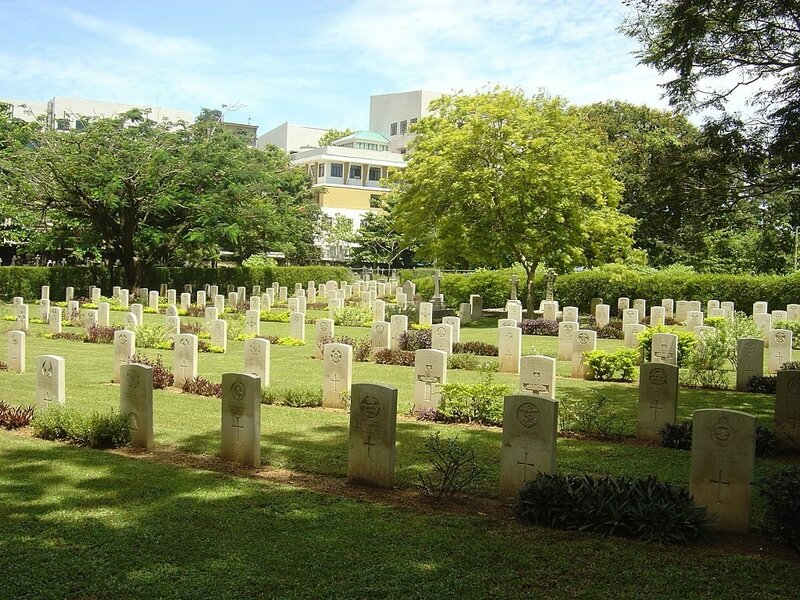 There are now over 60, 1914-1918 and nearly 300, 1939-1945 Commonwealth war casualties commemorated in this site. 4 casualties of the 1939-1945 war are unidentified.